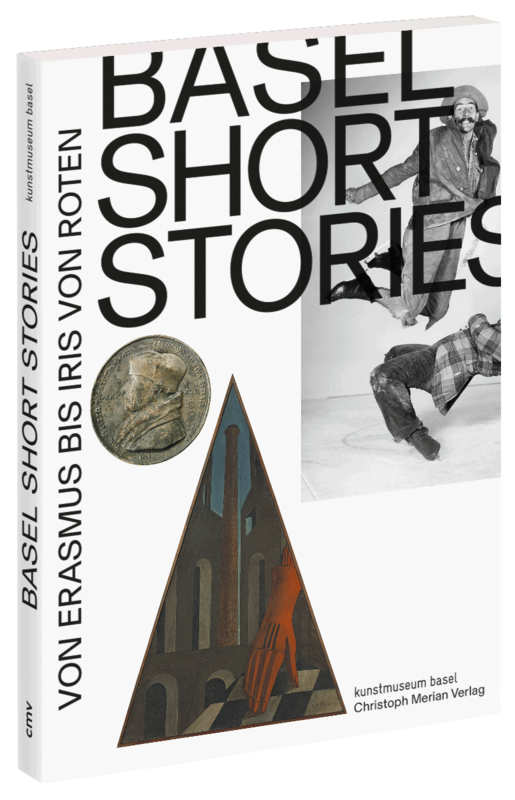 The exhibition Basel Short Stories turns the spotlight on the Kunstmuseum Basel's rich and in some respects world-famous collection, presenting less well-known treasures from the holdings in new contexts. The kaleidoscopic display unites illustrious and obscure, private and world-historical—and sometimes grotesque—events in the history of Basel that are brought into focus by art from the Kunstmuseum’s collections. Hans Holbein the Younger’s masterwork The Dead Christ in the Tomb, the illustrator and naturalist Maria Sibylla Merian, the historian and art historian Jacob Burckhardt, the philosopher Friedrich Nietzsche, the 1912 Basel Peace Congress, the figure skaters Frick and Frack, the inventor of LSD Albert Hofmann, and the women’s rights activist Iris von Roten. Each room tells a different story while also contributing to the concert of voices that make up the exhibition. An accompanying catalogue published by Christoph Merian Verlag presents a wealth of materials; illustrations, quotes, and excerpts from historic documents appearing side by side with essays by experts in a variety of fields. With contributions by Andreas Beyer, Andrea Bollinger, Bodo Brinkmann, Maike Christadler, Gabriel Dette, Patrick Düblin, Søren Grammel, Anita Haldemann, Josef Helfenstein, Michael Kessler, Andrea Maihofer, Ariane Mensger, Charles Ray, Sabine Söll-Tauchert, Monica Stucky, Hortensia von Roten, Regina Wecker, Maja Wismer, and others.